At Fleming Homes, we only use accredited and experienced erection teams to erect our timber frame homes – after all, our client’s investment is at stake! Before our teams become official Fleming Homes erectors, they need to be fully tested and accredited by us. To become a Fleming Homes Accredited Erector, you need to meet two crucial requirements: firstly, you must be a joiner, not just a timber frame erector. Believe us, there’s a big difference! Secondly, you need to be great guys. We know all our teams personally, and have done so for many years. We can vouch for their skills and character 100%. Our erection squad is made up of four sub-contracted erection teams. Each runs their own successful business, and erects timber frame homes exclusively for Fleming Homes. Each team has earned the right to become an accredited Fleming Homes erector by meeting our stringent qualifying standards. Andrew Blair Joinery have been working with Fleming Homes since our erection service was launched in 2014. Andrew himself has been working with Fleming Homes for over 15 years, and has erected close to 100 Fleming Homes timber frames in that time. 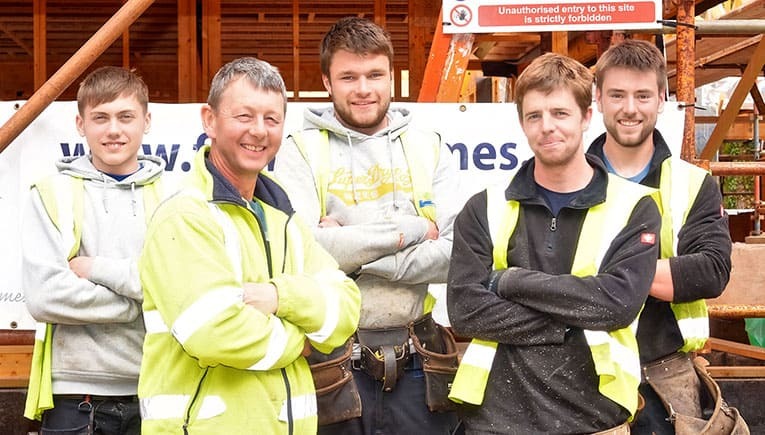 As with all our head erectors, he’s a time-served joiner, and works with a team of four joiners (Grant, Michael, Curtis and Jack) who together have over 50 years’ joinery and timber frame experience. Andrew Blair Joinery are highly commended by our clients for their hard-working ethos, attention to detail, and friendly, professional demeanour. Paul has worked with Fleming Homes since our erection service was launched in 2014. Paddy joined the ranks in 2016, and has proved to be an indispensable member of our erection team. Paul, like all our head erectors, is a time-served joiner. 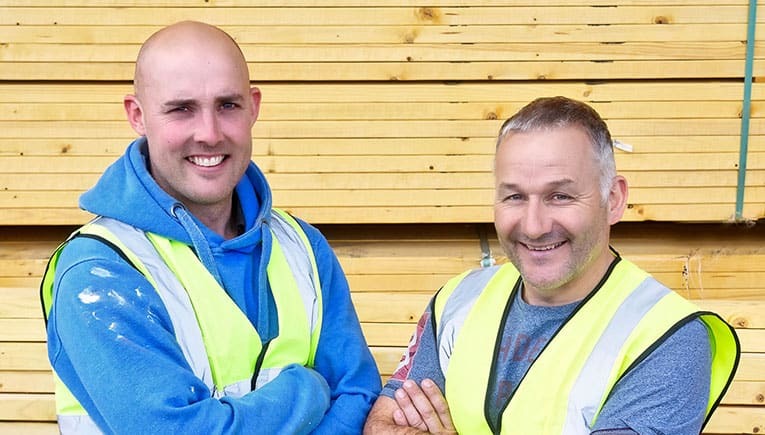 In between erecting timber frame homes exclusively for Fleming Homes, he can be found erecting extensions, fitting kitchens and machining doors. His right-hand man, Paddy, has been described as the hardest-working man in Northumberland, and is as strong as an ox! They’re a great team, and super guys. Dod and Steven have worked with Fleming Homes since our erection service was launched in 2014. Both are self-employed, time-served joiners. In between erecting timber frames exclusively for Fleming Homes, you’ll find them fitting high-specification kitchens, building extensions, and making external joinery products. Their joinery skills reflect the high quality of workmanship demanded on a Fleming Homes erection project. They’re best described as top-quality joiners, and top guys into the bargain. Alex and Gary are the newest additions to our erection team. 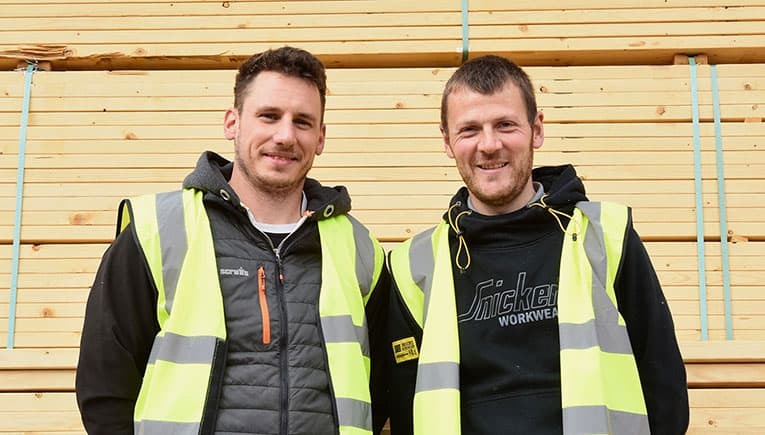 They both run very successful carpentry businesses, and work as a team when we call on their services. Like all our erector teams, they’re time-served joiners, capable of making bespoke windows as well as erecting quality timber frame kits. 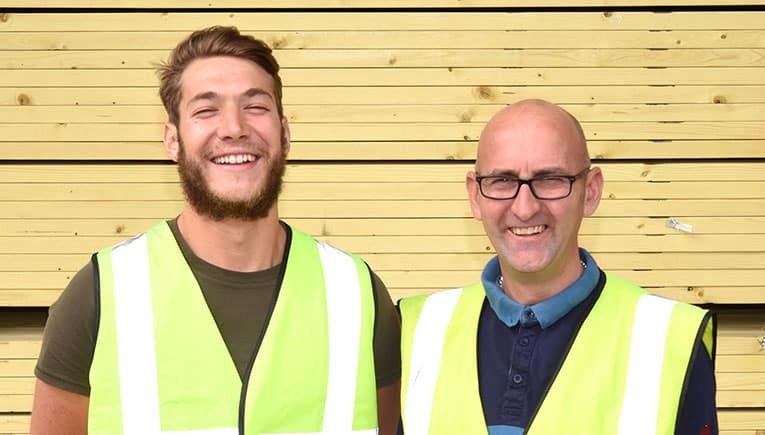 Ali and Gary are at the start of their business careers, and have a real drive to provide a quality service. Their youthful energy, hard-working ethos and joinery skills make these two guys a perfect team on our erection squad.